Following reports of controversial clauses in the newly drafted Public Universities Bill, a ranking member on Education Committee of Parliament, Peter Nortsu has said the committee will do all it can to kick against any attemp by the ruling government to undermine the autonomy of universities. Among other things, the draft Bill, which has been sighted by Citi News, gives the President the power to dissolve and reconstitute the governing council of a public university in cases of emergencies. The President is also given the power to appoint an interim council to operate for a stated period. Per the draft, a University council shall consist of nine persons including a chairperson nominated by the President. 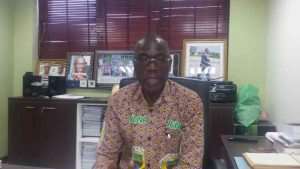 But responding to the reports emanating from the Bill, Mr. Nortsu said it is in Ghana’s interest to safeguard the semi-autonomous status of universities. The MP said the already existing supervision through governing councils was enough for the state.